Hope all your Halloween projects are completed and your little trick-or-treaters have settled on a special costume. If you happen to be looking for a little Halloween treat for a fellow stitcher, we just received some darling handcrafted needle minders with Halloween motifs. 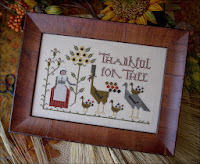 It must be time to move on to other holiday stitching and there is much to share. 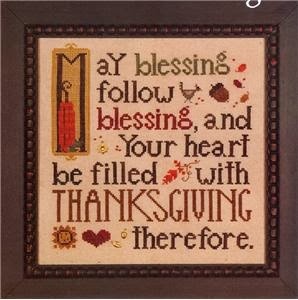 We have Delivering Harvest as well as Delivering Halloween from Plum Street and next week, we are expecting Thankful For Thee and His and Hers Thanksgiving Stockings. 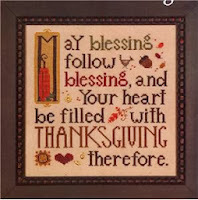 Thanksgiving Blessing, from Heart in Hand, is a beautiful verse for the holiday. Christmas designs are rushing in and to name a few: from Lizzie Kate, we have Flora McSample’s 2013 Stockings. 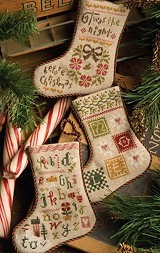 This chart includes three of the cutest small stockings for this year. 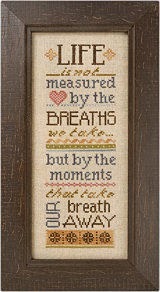 Linda has put her special touch to yet another inspirational message with Life Is Not Measured. 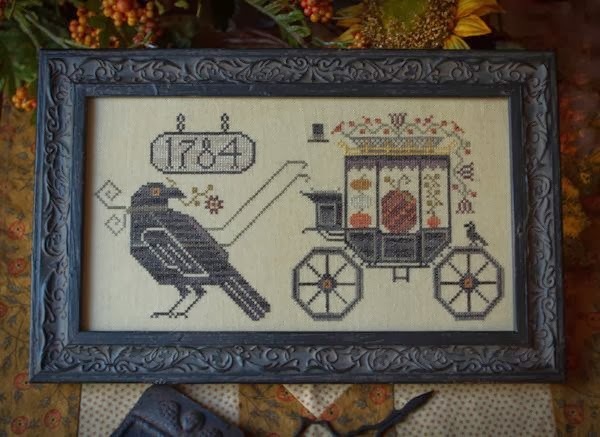 This would make a wonderful gift for family or friend. 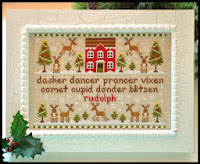 Country Cottage has completed the 12th and final segment of Santa’s Village. We are so excited to begin stitching on the Hot Cocoa Café. 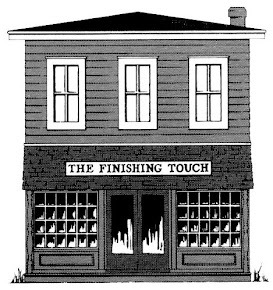 Our model will be complete once we receive this cute little café. We are always happy to share the model. We will be in touch with those of you on our list in a few days to let you know the café has arrived. 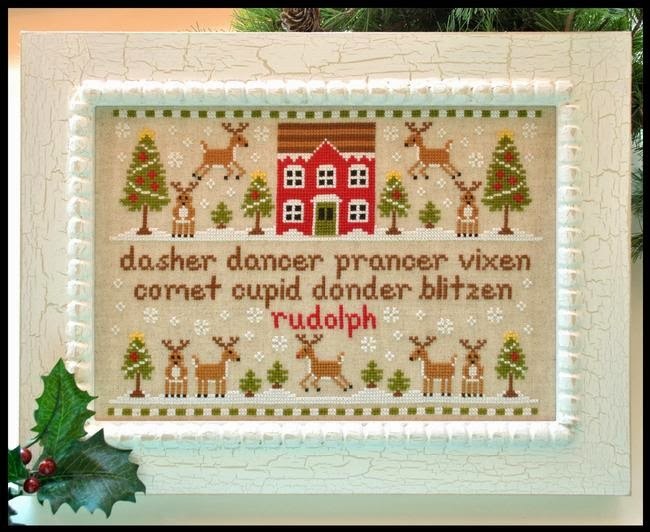 In addition to Santa’s Village, Country Cottage has Reindeer Games, a whimsical Christmas scene with frolicking reindeer in the snow. 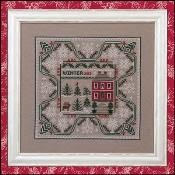 Just Nan offers Winter in the Forest, the fourth and final design in her Lettered Border Series of seasonal samplers. Red house deep in the forest welcomes all with candles in the windows. Cardinal Tweet is the latest in Nan’s Limited Edition Ornament series. 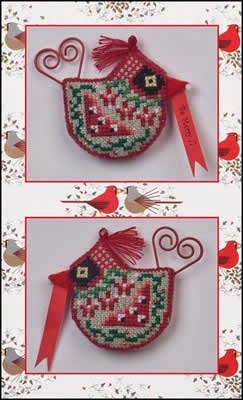 This little red cardinal is ready to hang from his fancy red tail or sit on a branch of our tree. 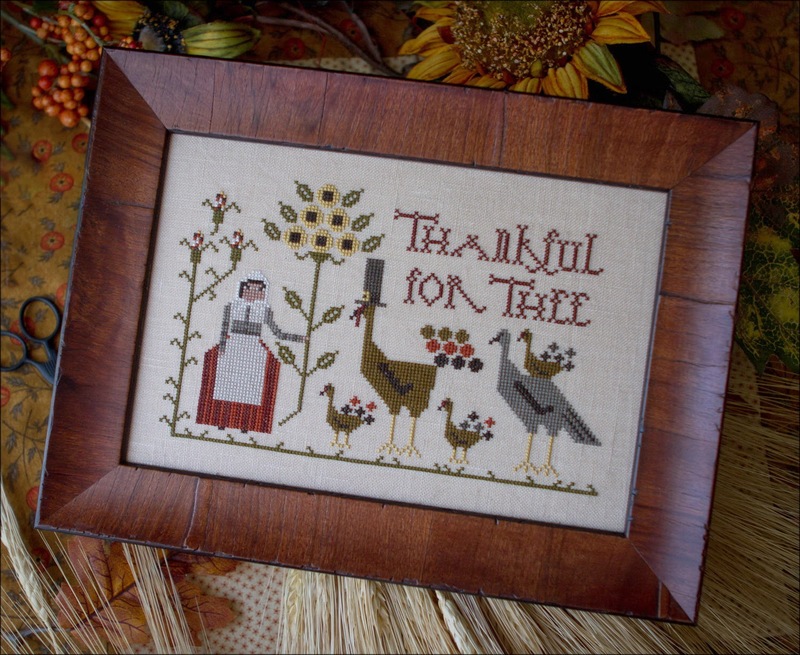 We continue to have the trunk show from Tree of Life Samplings. 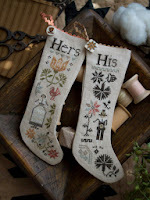 Jan’s beautiful collection of samplers will be leaving our shop at close of business November 2. Don’t miss it!